Licensed College Jewelry!! 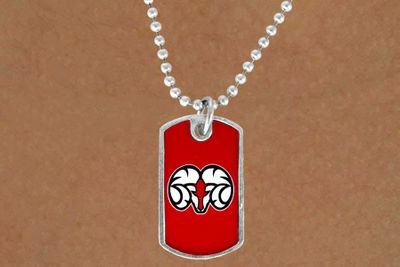 Lead & Nickel Free Sterling Silver Plated Ball Chain Necklace Suspends A Dog Tag With The Winston-Salem State University Mascot Logo. Scroll Down For More Winston-Salem University Jewelry: W13751B, W13783E, W13784N, W13786N, W13792SG, W13804SG, W14307KC, & W14309KC!